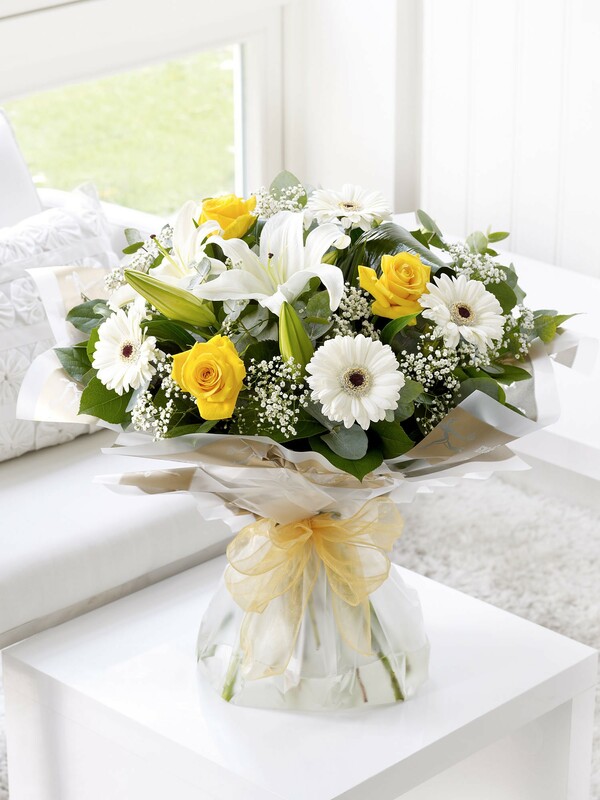 This really is a sunshine summer inspired sumptuous selection set to bring the joys of summer and guaranteed to raise a smile! 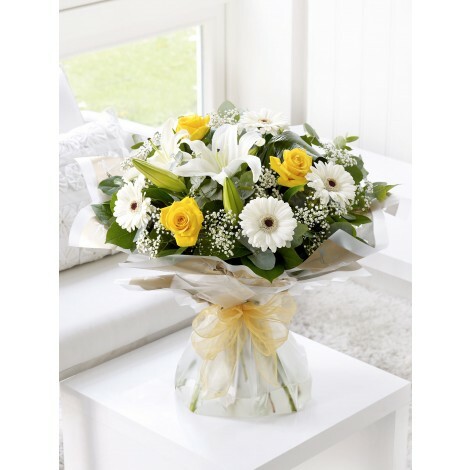 This stunning selection features; white germini, yellow large-headed roses, white oriental lilies and white gypsophila, expertly hand-tied with folded aspidistra leaves eucalyptus and salal. 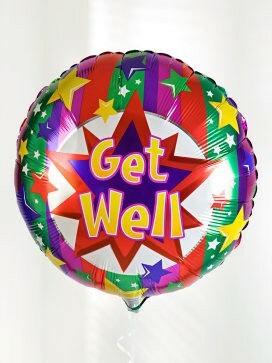 Perfectly finished off with interflora gift packaging, complete with a bright and vibrant "Get Well" balloon.